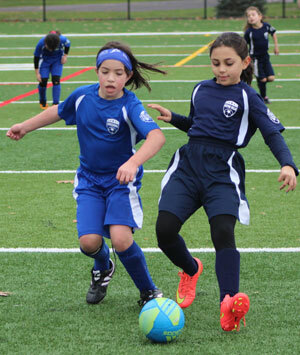 Rules of Play | Teaneck Junior Soccer League, Inc.
Rules for the fall and winter seasons vary. Click the appropriate link below to download the Rules of Play. 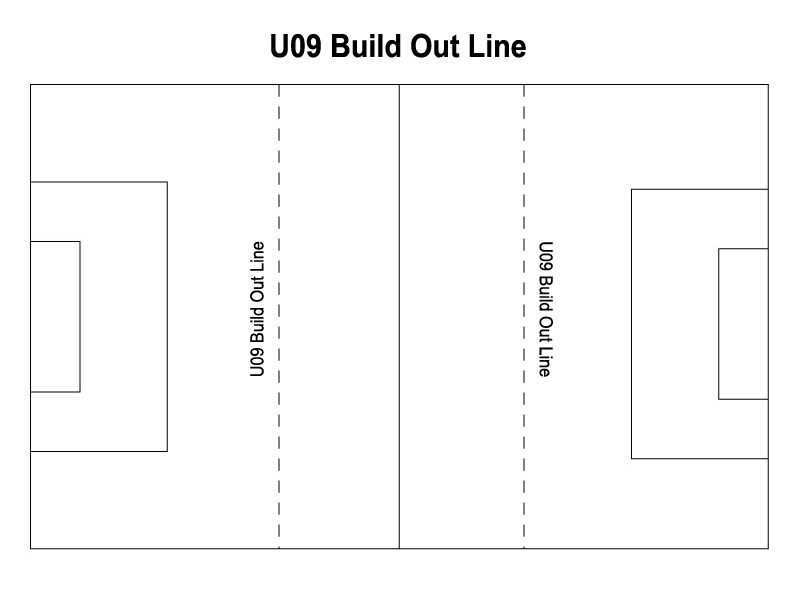 A new rule - The Build Out Line - impacts teams in the U09 outdoor division beginning Fall 2017. A build out line shall be located equidistant between the penalty area line and the halfway line and marked by cones or a different color line. When the goalkeeper has the ball, either during play or from a goal kick, the opposing team must move behind the build out line. Whenever the goalie releases the ball, the ball is in play. However, if an opposing player is not moving back towards the build out line then that player cannot play the ball until the ball is outside the zone. Once the opposing team is behind the build out line, the goalkeeper must pass, throw, roll or kick the ball. No punting is allowed. If goalkeeper punts the ball, an indirect free kick will be awarded to the opposing team from the spot of the offense. If the punt occurs within the goal area, the indirect free kick should be taken on the goal area line parallel to the goal line at the nearest point to where the infringement occurred. The build out line will also be used to denote where the offside offenses can be called. Players cannot be penalized for an offside offense between the halfway line and the building out line.